The Au-Si eutectic phase diagram is characterized by negligible solubility of A(gold) in B and of B (silicon) in A. The single-phase a and P regions in Fig. 8.10 disappear and points j and l are displaced to their respective temperature axes. Fig. 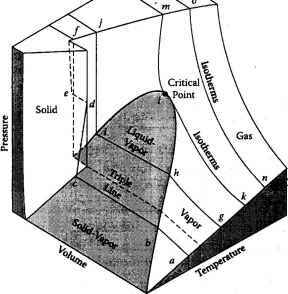 8.11 shows the gold-silicon phase diagram, which is a prototypical degenerate eutectic system. As shown in the following example, information regarding the nonideality of the liquid phase can be garnered from analysis of the liquidus lines in the phase diagram. Example: Calculate the activity coefficients of the two components in the liquid phase along the two liquidus curves in Fig. 8.11. Is regular solution theory obeyed? Show that the data are consistent with the Zeroth Law of thermodynamics.